Faith in most of our minds is this mystical, magical, and even almost other worldly supernatural power that only certain people have in abundance. We read about awesome acts of faith helping the condemned to survive when anyone else would have perished. We find stories of people who thank God for their recovery claiming it was their faith that pulled them through and we feel they are out of our league. We in our minds dismiss these people and their stories because we feel that, “we the normal person” is not somehow worthy of this high honor bestowed on just a select few. Well, the truth is that “Yes”, there are some of us who hold onto faith in every aspects of their lives and “Yes”, faith is ingrained into their DNA. “YES”, miracles do happen to some of us because of their faith in God but, “NO!” they are not magically blessed and the rest of humanity is less fortunate. The truth is God gave all of us the power to believe, and it is this power which we must surrender too in order to have true faith in God. Faith equals trust, trust equals belief, and like a circle bending back upon itself belief equals love. Because “Love” is “God” and those who love God also trust God, again, we find that this equals faith which equals trust. People who choose to live their lives in this manner exhibit characteristics that scare the rest of us because they seemingly have something that we don’t. People of faith seem to possess absolute resolve in all the trials and tribulations that is placed in their way on a daily basis and seem to handle it better with more fortitude and with greater grace than the normal person could ever muster. But this I tell you is also an illusion, because even though we see something on the out side, the pain and turmoil still has its grip on the inside. We all have the same weakness that which is sin. We all sin, we all fall to sin in our daily lives, it’s just that some of us handle sin better because of their faith, because they trust in God for his promise of forgiveness of their sins. If there was anything which took root in the Roman world after the death and resurrection of Jesus it would have to be this one simple fact that more Romans needed faith in something more real than what they where being offered and Christianity gave them this anchor as it still does for all of us today. So the simple fact is as Jesus had stated so brilliantly, faith is so powerful because it is show in your actions trust in the word of God. This builds belief in God and in that there is nothing which you cannot do or accomplish even move mountains. How many times have you been told to, “Have Faith.” ? What does this really mean? I had one of my students tell me flat out when I told him to have faith, “Why should we have faith?” Obviously this was coming from frustration, but I assured him it will all work in the end. Did it? “Yes! it did.” It always works out in the end. God makes sure things that go wrong in our lives according to us, He can and will fix. But how do we have faith when we don’t know the plan? This and so many other questions rest assured will be the road block to your faith if you let it. But, if you don’t and you let go and let God then your faith is multiplied by infinity and with that kind of faith there is nothing you cannot do. Faith is a journey, it is a real hand-in-hand walk with our creator. It is the constant listening, or listening faithfully in faith that we all share in common as we only have one God. No one can ignore the sin in our heart as surely as we cannot ignore the path we are all called to take, the journey called faith in God. My faith journey has been one built up over forty years of constant reading and asking questions to clergy and people I loved and respected. I finally came face-to-face with all my sin and troubles which had broken me to the point I could n’t stand myself and it was then I saw the clearest I saw the path and heard, really heard God calling my name to walk hand-in-hand with him. I had to hit the bottom of the barrel to find God, to find His mercy, His love, and His devotion that He so freely had given to me which had been before me for ever in plan view. It was that I simply could not see past myself, I was blind with pride, drunk with lust of this world I could not see God. I will not lie, my faith journey has been the hardest journey I have ever had to endure. I have been tested in every way, shape, and form, every obstacle has been planted with deep roots in front of me, it seems that once I over come the obstacle another is already in the first ones place. Each new test become harder to beat, testing me in new more uncomfortable ways always forcing me to step outside my comfort zone and think outside of the box. But in all these trials and tribulations God has allowed to happen in my life, I have never wavered and in my faith has become stronger and stronger just like Jesus promised. “HAVE FAITH.” Is more than just a saying that makes most people cringe with fear and anxiety, it is the calling card of love sent straight to you from God himself. It is a commandment for the faithful to uphold, always and forever. The best part about it is I know I am never alone in my trials and tribulations that life beats me down with. Because I am on this journey, I am assured that God is with me, right beside me, holding my hand through every part especially the worst parts always giving me strength and resolve. Without faith there is no hope, and without hope their is only depression and despair. You can expect to fail for sure with that formula. Added to that you are not pleasing God. The actions of those who feel no hope is to rob others of their hope, to pull others down into their sorrow and pity. All of which is against God and against what He has commanded. God does not reward bad behavior, but rather there is hope in the reward of trust and love He holds for us for he gave his only son. The one question that always comes to my mind at Easter is really when you thinking about it, when you remember the love of God; His grace that He so freely gives to all man kind is simple in retrospect, “How much more faith in God did Jesus exhibit in His last hour here on Earth as He suffered and died on the cross? How much more faith did Jesus demonstrate than anyone of us in any hour of trouble we face in comparison to being crucified ” Jesus’s stated mission according to the four Gospels of the New Testament was that He had to die for our sins. Jesus had told the Pharisees that He would be seated at the right hand of God. Clearly this was the reward for sacrificing himself for all mankind? But what if Jesus had misplaced His faith in God, what then? Certainly Jesus had thought this in the garden as he prayed before His arrest. Surely Satan had tempted Jesus with this doubt in the Desert. Had it not been for Jesus’s resurrection on the third day we all would be left without faith, without hope, without the trust in God we all so desperately need. We know Jesus was who he said He was, His father is God, and we know beyond doubt the power of Faith by His example and obedience which “Yes” pleased God immensely. Jesus’s faith in God was absolute, unwavering, and never ending. It is this we celebrate at Easter, and it is this truly gives man hope, faith, and love. 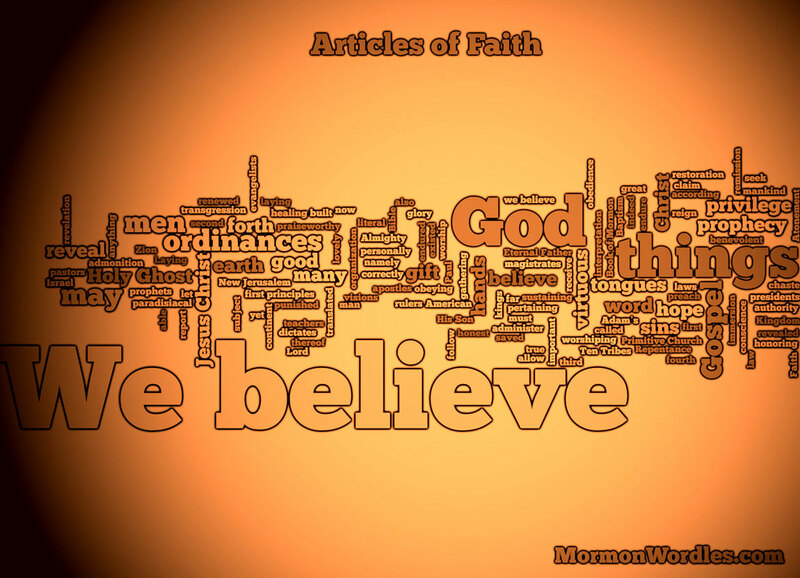 If you liked this Reflection on FAITH please leave a comment. Also please LIKE and SHARE this post with others. The Lord thy God has done some miraculous things but the one singular accomplishment was the creation of the world through the light of Jesus Christ. In many ways we can correlate our American Holiday of Thanksgiving and other nations Thanksgiving celebrations within the creation story itself. The link between scripture and literal history falls upon each pilgrim and the reasons they chose to make this long hard arduous journey. The beliefs which they carried within their hearts with much faith and determination as they crossed the Atlantic fighting disease, risking starvation all with the hope of a new beginning. Jesus was in the world with those first sailors from Europe just as he was with the Jews. Like those Jew in Jesus’s day who meet our Lord face-to-face and who did not believe or accepted Him, so too not all the people aboard those first few ships believed in Christ but rather prized a possible reward for their troubles through the efforts of man, not of God. But so to was it in Jesus’s day many accepted Him, believed in the light of Jesus Christ, and it was also these people, the first true christians aboard the most weather beaten hulks of lumber who made it far enough to see land once more who too also believed not of the blood, or of the flesh, or of man, but rather of the perfect will of God. Through their great strife and sacrifice in their many hardships we look back at these two separate ages and can the see the hand of God molding our hearts and as he builds great nations of believers and from a few chose children of God. Much like all the apostles Jesus through the Holy Spirit made all things new, accomplishing His glorious task over and over throughout history always through much pain and heartache, towel and trouble. Jesus succeed in creating the world a new, He succeed in planting the seeds of love, compassion, and forgiveness. 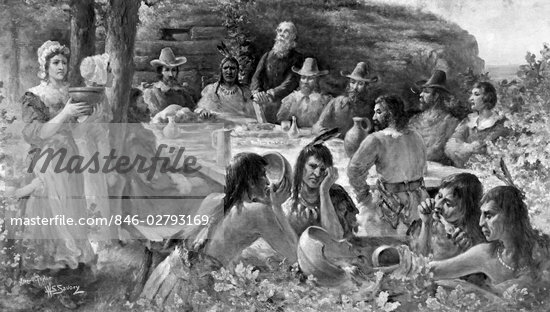 It is in that spirit do we find the pilgrims the american indians, the grand banquet of celebration and unity for the benefit of all. “Love your enemies. Do good to those who hate you. Bless those who curse you. Pray for those who treat you badly.” ~ Lost Gospel Q , Q14. “Give, and there will be gifts for you. A full measure of grain, pressed down, shaken, together, and running over, will be poured into your lap; because the amount you measure out is the amount you will be given back.” ~Lost Gospel Q , Q18. In the days of Jesus many people saw Him, witnessed His many sermons and could testify to His miracles, but none of them could contemplate the foundations which He had laid. Thanksgiving can thus find roots in our Lord Jesus Christ just as the foundations of the world is rooted in His love for all mankind. Our God has not been petty with us, He has not withheld anything. But we in our sin and transgressions have at times been petty with God, with each other, and with ourselves. The foundations of the teachings of our God can be best summed up with His commandment to give freely with one-another, hold nothing back, as the rewards awaiting you are measured out with the rod you used upon others, and with God. The miracle of the Last Supper, was in the actions of jesus as he held nothing back, much like the supper upon that first Thanksgiving where the indians and pilgrims brought equal food and drink to share freely with their fellow man. The astounding thing has to be that the indians would be facing a people that would not always meet them on such terms, and in some regard they knew this and still took pity and was in many ways greater christians for having done so, acting as christian in the words of our Lord even though the word, “Christian” was not yet within their vocabulary. 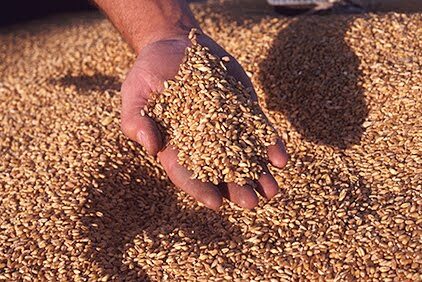 In many ways the natives measure of grain in heaven is larger than ours today because of their mercy, forgiveness, act of love, and ability to bless their enemies with life. Thanksgiving in many respects is a day the world celebrates as Jesus came into this world, shined His light upon us all so that we could come from the darkness of sin. The Lord God in heaven also made it possible for the many wars to come to a pause in order to observe Holy days of obligation and in our present times this day of Thanksgiving holds a truth among it that carries greatness in our ability to keep it for over two hundred years. It the testimony of this nation, of all nations who put aside their grievances with their fellow man and hold hands in the presences and might our Lord, Jesus Christ. I wish you all a Happy Thanksgiving 2012 and may the Lord lift your spirit whether you are with your family or are celebrating alone. May you all go in peace in the word and promises of our Lord. “And Jesus, walking by the sea of Galilee, saw two brethren, Simon called Peter, and Andrew his brother, casting a net into the sea: for they were fishers. And he saith unto them, ‘Follow me, and I will make you fishers of men” (Matthew 4:18-22, Lost Gospel Q, Q30, p.64). It is no accident that when we look at the human spirit we all have a common need to know God. It is no accident that Jesus chose to come as a sheep to be slain, only to rise on the third day. I say it is not an accident because God chose to give us all free will, in doing so He knew we would sin, and fall away from Him but our God did it anyway. God is so magnificent, so perfect in all His works that He was so precise that He paid such close attention to detail in the creation of us that which He had already made room for our sins in His overall plan for humanity. It is no accident that our creator made us in His likeness took such delight in giving Adam his first breath of life, as He does for each and every one of us. God paid such close attention to detail that He recognized when Adam was lonely, thus He created Eve. The miracle is in the fact there is no difference to how closely God observes us, each one of us, and knows when we need Him, answers our prayers, and plays such an active role in our individual lives once we have accepted Him into our hearts, under that most perfect design called free will. Simon Peter could have said no, as well could have Andrew. In fact each and every one of the twelve disciples could have said no. But because each one of us has that built in need to know God, they followed him, they made a choice. They walked away from their lively hood, their families, their worldly responsibilities, and made the choice to follow him. To their credit they listened to Jesus and followed him upon blind faith that they were making the right choice. The most compelling aspect to this was Jesus knew they would slip in their faith while following him, he knew they would argue, complain, have many doubts, even question him on topics they all struggled with, which we all still today struggle with. Jesus knew they would abandon him in the end, run away in fear, deny him, and even betray him. Jesus knew this just as his Father in heaven knew Adam and Eve would sin, but instead of fixing this one trait, our Lord and Savior used it to our greatest benefit, through his death on the cross. Perhaps the greatest of Jesus’s acts took place during the last super as found in John 13: 1-5, when he washed his disciple’s feet. The attention to detail was so perfectly executed that Jesus did not hesitate to wash the feet of Judas Iscariot, knowing that within moments of him doing so, Judas would betray him. “2 The evening meal was being served and the devil had already prompted Judas Iscariot, son of Simon, to betray Jesus. 3 Jesus knew that the Father had put all things under his power, and that he had come from God and was returning to God; 4 so he got up from the meal, took off his outer clothing, and wrapped a towel around his waist. 5 After that, he poured water into a basin and began to wash his disciples’ feet, drying them with the towel that was wrapped around him” (John 13: 2-5, Pg. 1656, NKJV). How do you reconcile the example of doing for those who would do you ill? In truth I don’t know anyone who could have washed Judas’s feet if they had the forward knowledge that Judas was going to betray them. Moreover within hours from that moment such torture and pain was going to be unleashed upon him. But it took the unyielding, agape love of God to become the servant, to wash the feet of his betrayer. But yet we are all called to do this. In retrospect it is no different from when God gave Adam life, knowing Adam would eventually sin against him. In fact every human on Earth has sinned against God, but yet He still pays such close attention to detail as to love us anyway, to show us His grace anyway, and to choose to send His son Jesus to save all of us from eternal damnation anyway. “8 He who does not love does not know God, because God is love” (1 John 4:8, Pg. 1170, NKJV). “16 And we have known and believed the love that God has for us. God is love, and whoever abides in love abides in God, and God in him. 17 Love has been perfected among us in this: that we may have boldness in the Day of Judgment; because as He is, so are we in this world. 18 There is no fear in love, but perfect love casts out fear, because fear involves torment. But he who fears has not been made perfect in love. 19 We love Him because He first loved us. (1 John 4:16-19, Pg. 1170, NKJV). Because we are left with the unyielding love of God, we are never alone, never left without hope, never subject to fear. Within our faith we are made perfect in God, we are molded and shaped by God. He takes so much pleasure in each wrinkle, every scratch, every pour and cell in our bodies, for He alone pays such great attention to such details. Ironically this takes vast amounts of time, and this is what God does for us just like He did for Jesus’s twelve disciples. One of the greatest reliefs is that whenever there is a huge worry, a meeting, assignment, or task that is life changing and a bit scary to face, know God is in our life and that there is noting to fear. For if we know God in our heart, we know love, in that love cast out fear and we then have perfect confidence our task will be completed just as Jesus faced down death, only to rise on the third day with God’s perfect confidence and love. Challenge question: Knowing we are commanded to love one another, to love our enemies, to wash clean their feet, to show mercy and forgiveness, then when we choose not to do so aren’t we really in rebellion? Aren’t we really telling God we know better? Then if this is the case aren’t we all very lucky to have such a forgiving God who has paid such attention as to give us the agape love we need to come to him once we realize our mistake, our sin? The truth about God’s will is simple, he wants the best for each and everyone one of us. He want’s us all to live peaceful lives, filled with his love and wisdom. God wants us to grow and to become the best we can be and to flourish into children filled with faith and obedience for his will. But despite all of these wonderful things we fight with him, kicking and screaming all the way until we get to the deepest of despair. It makes no since to me why we do this but nevertheless we do. During this contest of will’s God shows that his is constant, consistent, never failing to be there when we need him, and always willing to show that he has a plan. It is within our submission will we see fully this plan. God has a way of shacking the very fabric of our beings, he has a way of reaching out to us with so much love the questions, and arguments fall away and become irrelevant in our lives once we become completely obedient. So it is important to understand how God moves Heaven and Earth, and how we become obedient. Step 1: “Acknowledgment “ We are to come on our face to God, but this can not happen if first we do not acknowledge we are filled with sin. We need to also understand the only way for our sins are to be forgiven is to acknowledge Jesus died for our sins and our sin debt is paid in full. “Everyone who acknowledges me in public will be celebrated by the angels.”(Lost Gospel Q, Q47, P.81). “21 But now the righteousness of God without the law is manifested, being witnessed by the law and the prophets; 22 Even the righteousness of God which is by faith of Jesus Christ unto all and upon all them that believe: for there is no difference: 23 For all have sinned, and come short of the glory of God; 24 Being justified freely by his grace through the redemption that is in Christ Jesus: 25 Whom God hath set forth to be a propitiation through faith in his blood, to declare his righteousness for the remission of sins that are past, through the forbearance of God; 26 To declare, I say, at this time his righteousness: that he might be just, and the justifier of him which believeth in Jesus”(Romans 3:21-26, KJB). Step 2: “Acceptance” Peace with God begins only with your willingness to accept that Jesus died on the cross, for there is no other who can stand with you before God. When we die and go before our father in Heaven and are asked to account for our sins our friends, family, loved ones, or even our lawyers are not going to be there with you to testify on your behalf. Holding your hand however will be Jesus. “For there is one God and one mediator between God and men, the man Christ Jesus.” (1 Timothy 2:5, KJB). Step 3: “Commitment” Upon acknowledging we need God in our life, and accepting that he sent his only son to die on the cross for the redemption of our sins, we then are ready to make the same commitment to God that he has made to us. We then can justifiably stand and be counted as one of his followers. We then can start to live a Christian life filled with rewards and faith. Step 4: “Active Prayer” There are many tools a true Christian has at (his or her) disposal. One of the strongest and most direct is leading an active prayer life. Most people pray only when bad things happen. But God wants to hear from you daily as he is active in your life daily. Thus as we begin to pray every day we being to see how God works in our daily life as he moves mountains, that seemed to be immovable, accomplishing the impossible. We begin to see that God wants to show us his will, so that we may participate in his plan for our lives. “9 That if thou shalt confess with thy mouth the Lord Jesus, and shalt believe in thine heart that God hath raised him from the dead, thou shalt be saved. 10 For with the heart man believeth unto righteousness; and with the mouth confession is made unto salvation. 11 For the scripture saith, Whosoever believeth on him shall not be ashamed. 12 For there is no difference between the Jew and the Greek: for the same Lord over all is rich unto all that call upon him. 13 For whosoever shall call upon the name of the Lord shall be saved. (Romans 10: 9-13, KJB). “One day it happened that Jesus was praying in a particular place. When he finished, one of his disciples said, ‘Lord, teach us how to pray just as John the Baptist taught his disciples.’ He responded, ‘Say this when you pray: ‘Father, may your name be honored; may your reign begin. Grant us the food we need for each day. Forgive our failures, for we forgive everyone who fails us. And do not put us to the test.”(Lost Gospel Q, Q34, P.68). Step 5: “Appreciation” A true Christian will appreciate all things given to them, no matter the size, look, or cost. The very fact that someone else gave them anything is enough to through a party in appreciation to God. Everything which God gives is a gift and we are to appreciate that gift by giving thanks to God. 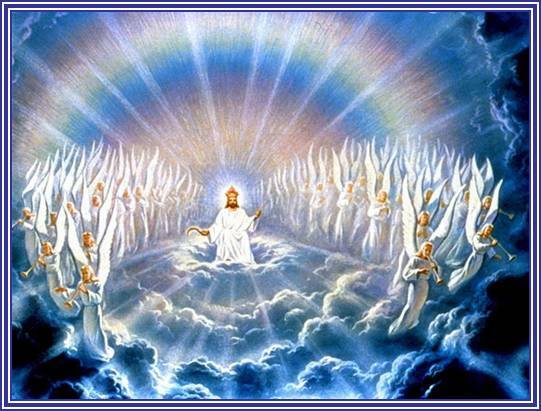 A Christian will not expect others to give them anything in return for they know their reward is in Heaven. Follows of Jesus tend to live a life of giving, humbly doing what they can for those who ask of them, for a true Christian knows that even the air they breath and the length of their life are all given to them by God. St. Paul the Apostles of our Lord Jesus Christ said in 1 Thessalonians 5; 12-22; “12Brothers, we ask you to show your appreciation for those who work among you, set an example for you in the Lord, and instruct you. 13 Hold them in the highest regard, loving them because of their work. Live in peace with each other. 14We urge you, brothers, to admonish those who are idle, cheer up those who are discouraged, and help those who are weak. Be patient with everyone. 15Make sure that no one pays back evil for evil. Instead, always pursue what is good for each other and for everyone else. 16Always be joyful. 17Continually be prayerful. 18In everything be thankful, because this is God’s will for you in the Messiah Jesus. 19Do not put out the Spirit’s fire. 20Do not despise prophecies. 21Instead, test everything. Hold on to what is good. 22Keep away from every kind of evil. “Don’t pile up your treasures here on earth. They will be destroyed by moths and rust and stolen by thieves. Store your riches in heaven where moths and rust are powerless and thieves cannot break in. Wherever your treasure is, your heart will also be.”(Lost Gospel Q, Q54, P.88). 1.) We must be convicted within our own heart. In other words know that what we are doing is bring peace to our heart and that it is inline with Gods will. If you question with your heart then it is a sign God does not agree. By following your heart you are exhibiting that God is first in your life and you are then able and willing to listen faithfully to him. 2.) We must be obedient in our will, so that we are not fighting God. In this we are committed to God in all aspects of our life, and we willingly give him the steering wheel in order for him to steer us in the right direction. By staying faithful to God we show him our willingness to obey him. 3.) We must be obedient within our own minds. In this we can make decisions which are difficult and could be painful. These decisions are made in order that they honor God. Because God comes first in our life, when contemplating we then pray for his guidance. Then based upon his will we show him obedience by making the right choice. By the act of praying we show him our willingness to consider his words in our life and their consequences. Thus we are joined with God within our heart, body, and soul. “Ask and it’ll be given to you. Search and you will find. Knock and the door will be opened for you. For everyone who asks receives, and everyone who searches finds, and for those who knock, the door is opened.” (Lost Gospel Q, Q35, P.69). Thus the proof that God will move Heaven and Earth to show us his will is then evident in our own lives. It is made apparent to all who we meet, and to everything we do. With God first, we steer clear from sin, we are mindful of his wants and desires for us and this in return makes the heart stronger, and obedient. As I reflect upon my life as a parent, a believer, a teacher, and husband, now ex, I have come to understand one thing which I must admit brought tears to my face when it struck me. The realization that our God is so perfect, he hears us so clearly, that he affects every single person, on every continent, of every race on this planet. Most profoundly God has given all of us one true choice. Every choice we have ever made in our entire life boils down to this one truth, to this one choice. We as one people under the sovereignty God are commanded to make this one choice, to live our lives by this one choice. Our lives here on earth are not ones which we are to be filled up with things, possessions, and carnal desires. 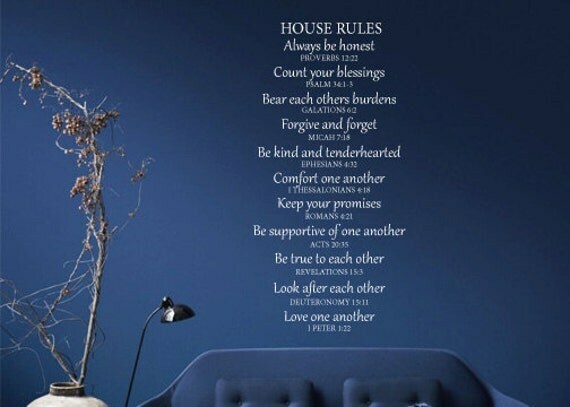 But rather a spiritual one, based on morality, kindness, tolerance, forgiveness, and love. We are to fill our lives full of the bounty which only comes from one source, we are made to accept it from that one source, that being God. So in the light of these truths, our one simple choice becomes completely obvious, as plain as the nose on your face. Each one of these strong statements will either make us ask more questions, to open doors we would have left closed, or we will ignore them out of ignorance and fear. Each of these statements is hard to completely understand, the simplicity of it, his eternal wisdom so absolute, so magnificent we shutter in his presence. The simple truth of God can be found within every word ever written that he has ever uttered in our entire history. Every story ever told shouts his one truth. His everlasting love is intertwined with in it. The first two choices we are given, which if you are to live within God’s eternal joy and happiness, and see this as the only choice then your life will be blessed, filled with understanding and wisdom that only comes from a belief in God. This choice exemplifies Jesus who said, “Even if your faith is no bigger than a mustard seed, you can say to this mountain, ‘MOVE!’ and it will move. Nothing will be impossible for you.” (Q78, Lost Gospel, p.113) This belief comes from the knowledge and understanding that there is nothing God cannot deliver. In simple English this is called absolute faith. When you demonstrate a heart filled with the fullness and trust in God, utilizing the most powerful ability he gave to us, that being absolute faith then your anxiety disappears, your worries dissipate as God works miracles within your life. This requires the ability to hear God, to listen faithfully, to accept what he says even when it seems humanly impossible, to simply envision his words spoken to you as his will, and absolute truth and to thank him for it when the glimpse of the future he has promised is revealed. The second choice leads to a deeper darker path, one filled with sin, and the tolerance of sin within our own lives. We begin to teach that religion is not so important and we start to argue amongst ourselves, ignoring the bigger picture, ignoring the world filled with so much need which surrounds us. In a nut shell we become greedy, selfish, self serving, manipulative, and deceitful, willful, and practice the art of lying. This exemplifies a life unfulfilled, lonely, unhappy, and in pain. We create our own hell as we sink further and further within this quagmire of a life lead without faith, without purpose. This life ignores what Jesus said, “Don’t be blinded by the pursuit of food, clothing and possessions. Stop worrying about these things. Only those who lack spirit and soul pursue them. You have a Father who knows what you need. Set your heart on God and these other things will be given to you.” (Q53, Lost Gospel, p.87) Ironically somehow that message is lost on them. It falls off them as water from a ducks feathers. They quack about things in their life which have gone terribly wrong, ignoring the tug of God, who is like a good shepherd calling their name from within the darkness of the night. They hear him, but fail to listen faithfully to him, showing their lack of faith that God can fix their problems because they are worthy of his love. The great lie of their life is that they feel that they are not worthy, they convince themselves they are beyond his forgiveness, mercy and love. The test or choice is ours to make because of free will. In truth there is only one choice, one path, one God. The line in the sand is absolute, Gods will is absolute. To choose faith is akin to choosing freedom, to pick faith in yourself absent of God is akin to choosing imprisonment.